Catch the Vision of your Midlife Rebirth! *Is there a voice within calling you to move in a different direction, but you’re not exactly clear how to do it? * Do you feel there’s much more you came to this life for, but you’re unable to discern what it is? *Are you tired of postponing a fulfilled and joyful life because you’re scared to take a leap of faith to make it happen? If you identify with any of these concerns, this transformational retreat will help you regain the confidence to kindle your unspoken desire towards a renewed version of yourself, self-expressed and creative. What is a midlife rebirth? Women at midlife desire to be juicy again, to recover their “mojo,” and grasp a meaning for those physical, emotional and mental transitions that they sometimes have a hard time understanding. Many times disenchanted with careers they dedicated decades to, confused, unable to see what’s coming next, they toss and turn around at 3AM trying to reconcile their sleep (and their lives!) in a restful and smooth passage towards reclaiming their lost sense of identity. 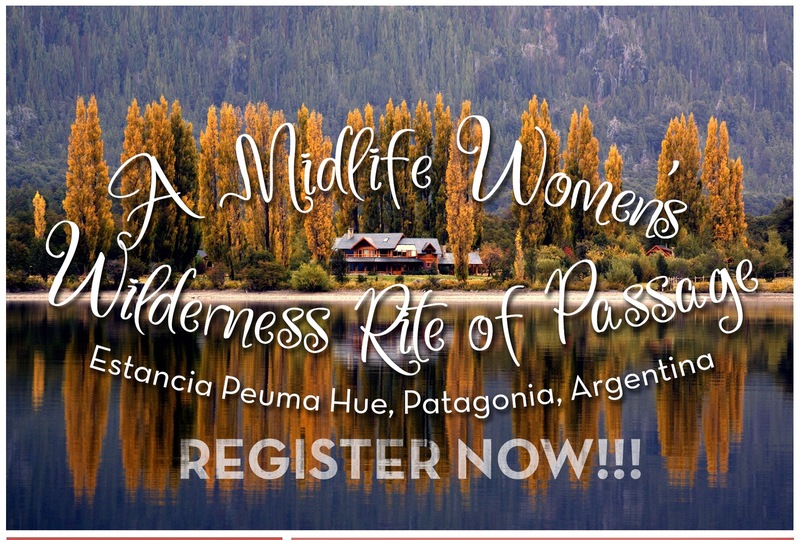 That’s why we have carefully chosen the perfect location to inspire the quest for your midlife rebirth in one of the most pristine areas of the Planet, Patagonia. 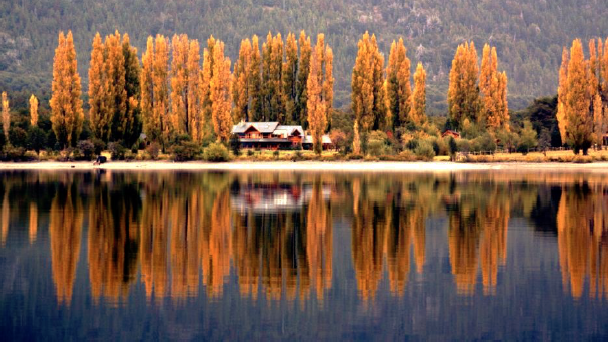 We will find sanctuary at Peuma-Hue—“a place of dreams” in native Mapuche language–, a world-class waterfront resort in the beautiful Gutierrez Lake, at the foot of the Andes, where you will enjoy the peace, quiet and majestic beauty of the inspiring wilderness to rediscover yourself in a visioning journey towards your rebirth. For more information on Peuma Hue, please go here. We’ve chosen this beautiful location because nature mirrors growth from its reverential stillness. 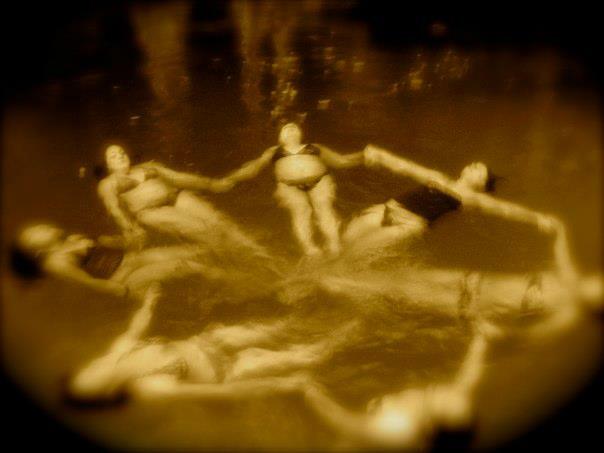 Aware of the powerful wisdom of the wilderness, following old vision quest traditions and respectfully using some of their elements and adapting them to a current day transformative experience, we take advantage of the healing power of the land, as a backdrop and womb that will allow the gestation of the new you. Moreover, the mindful walks, hiking, trekking, kayaking and horseback riding will enhance the process through physical movement. 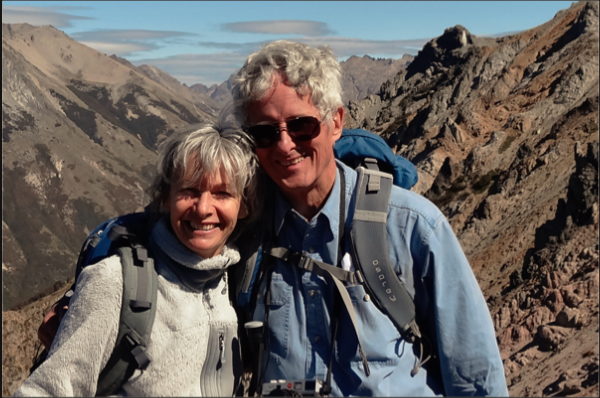 Your facilitators have over 35 years experience in supporting transformational processes. In fact, we have been planning this retreat since our high school years… Polly and Sirena have been close friends since 5thgrade and they have arrived at a ripe age in their lives when they are ready to share with other women the life experiences and knowledge that have brought them to be the empowered professional women they are today. Their professional trainings and life experiences complement each other’s so perfectly as to weave a tapestry of modalities that they will be offering in these seven days, guiding and coaching participants in a safe and vibrant experience of transformation. And, did we mention that Peuma Hue’s owner and founder, Eve Hoter is also a life long friend and school mate of Sirena and Polly’s? (For more info about Eve, please go here.) 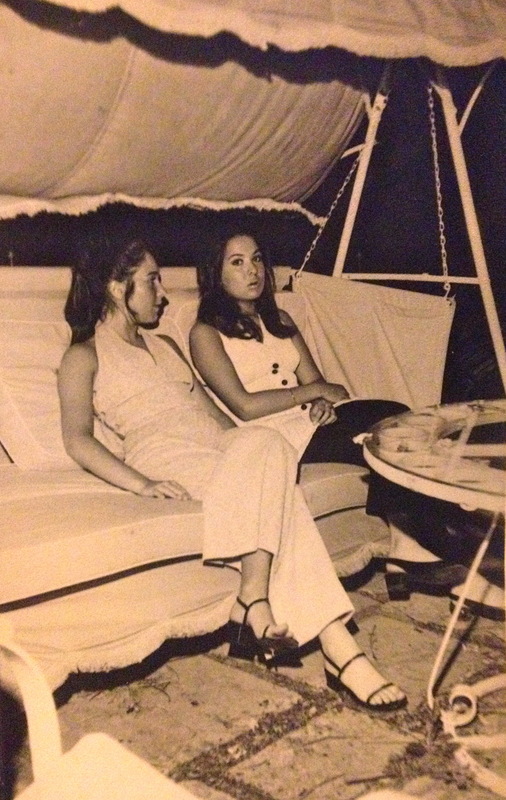 This coming together of these three women 50 years later sets the tone for a “school reunion” of sorts, an experience of coming of age among family, a rite of passage where the witnesses are the closest members of the tribe. 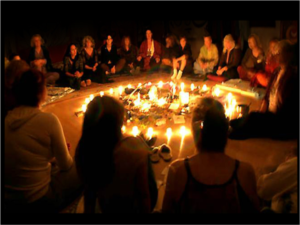 Dr. Sirena’s over 35 years of training and practice of different spiritual traditions and women’s empowerment provides the structure for the rite of passage to unfold. Following a proven process following the wisdom of nature’s growth cycles, participants are invited to identify the stage of their midlife transition they are at. Personal processes are shared and supported in daily talking circles, conducted in the Native American Elder’s Councils format by the seasoned hosting of Dr. Sirena’s experience facilitating these processes for several decades. 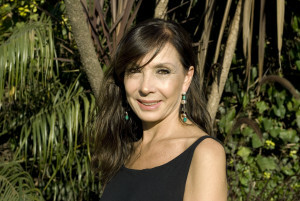 Polly Gallacher’s over 35 years experience as a clinical psychologist, specializing in family constellations, provides participants with the expertise and guidance moving through deep-seated issues that habitually emerge during transformations. In addition, her expertise in Cognitive Therapy, Hypnotherapy and mindfulness provide a psycho-spiritual framework for participants’ support. If you’re clear that this experience is for you, please don’t wait! Take advantage of our reduced prices, a real bargain for what this retreat offers! Pay In Full and get a $100 discount! Lic. Polly Gallacher is a Clinical Psychologist, Psychotherapist and Family Constellations Coordinator. She has diverse studies in the field of human relationships, personal development and body-mind integration. She has post-graduate studies in Cognitive Psychotherapy, Emotionaly Focused Therapy (EFT), Hipnotherapy, Family Constellations, Solution Based Therapy, Mindfulness and Energy Therapy. She has worked as a Psychotherapist with individuals, couples and families for over 35 years, focusing on the resources she can offer to solve personal and interpersonal conflicts. As Dr. Sirena Pellarolo, she has worked mainly with women in midlife and strongly believes that it is of utmost importance to support midlife women find their true self and authentic calling.